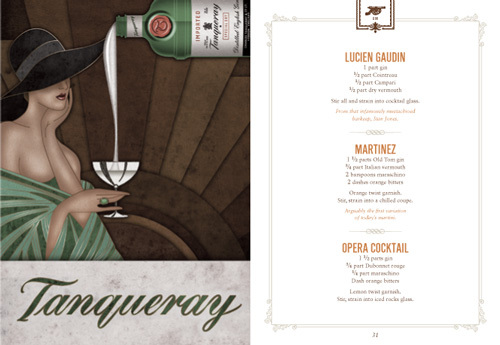 Designed by David Cole Creative. 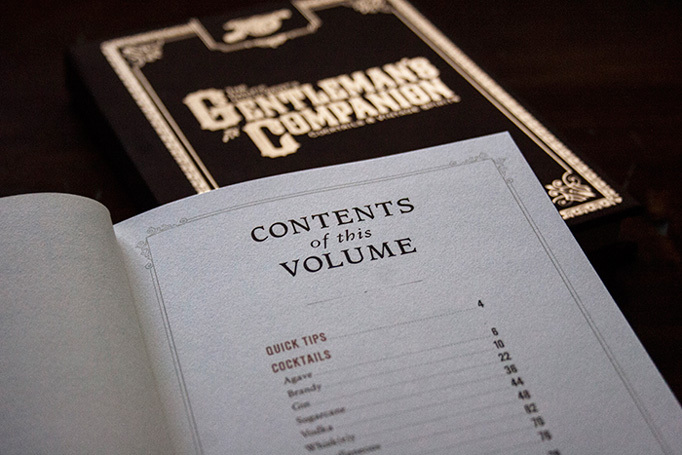 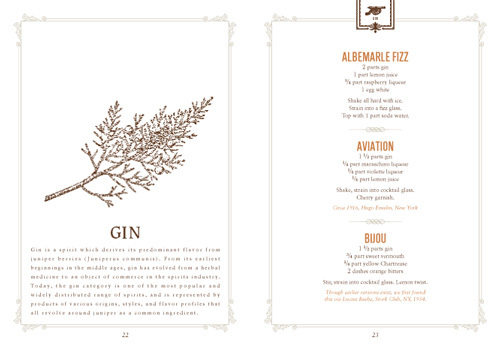 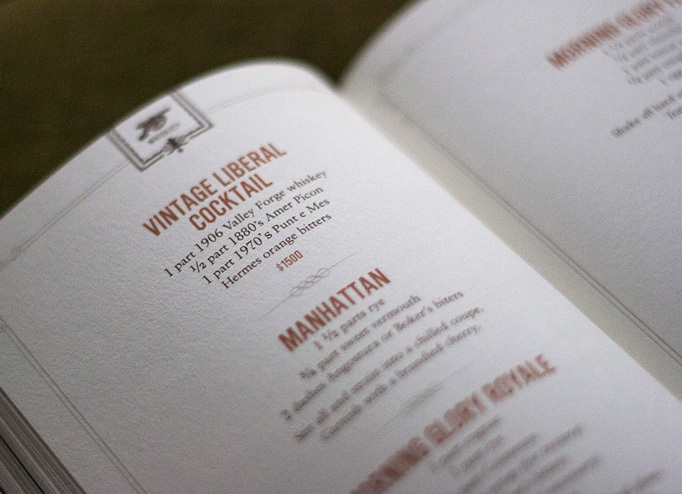 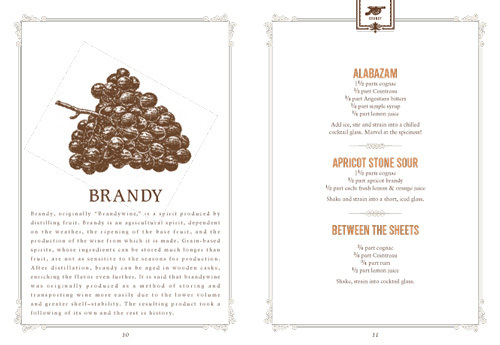 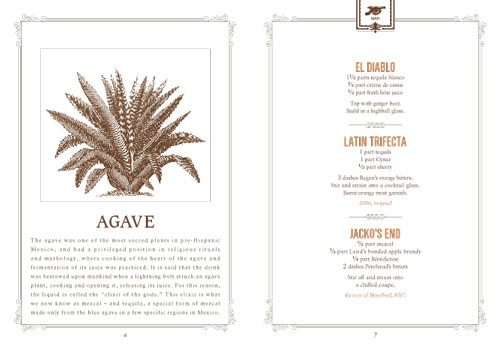 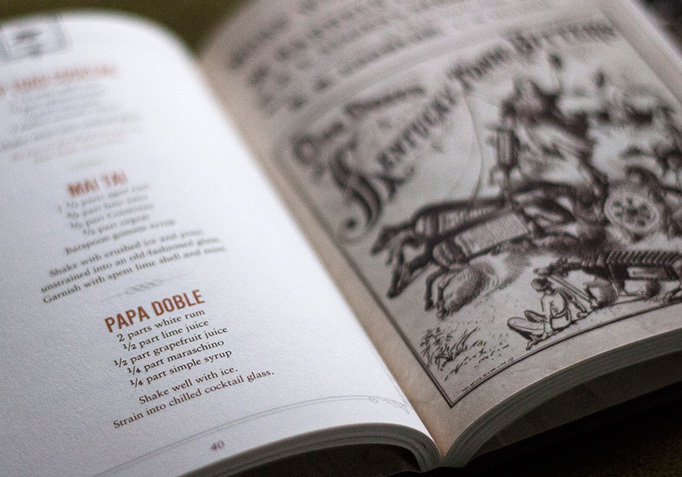 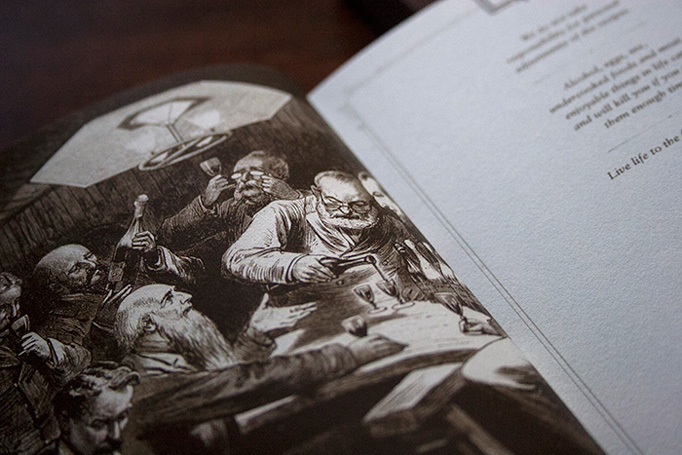 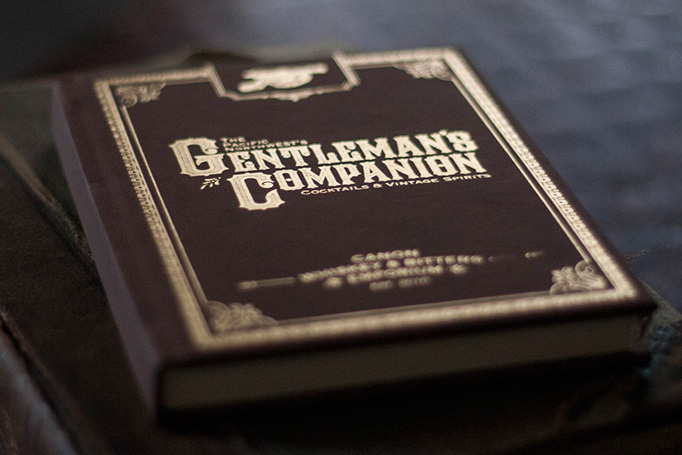 Nine months of development lead to this 100-plus-page, hardcover cocktail book, which doubles as a menu at the bar. 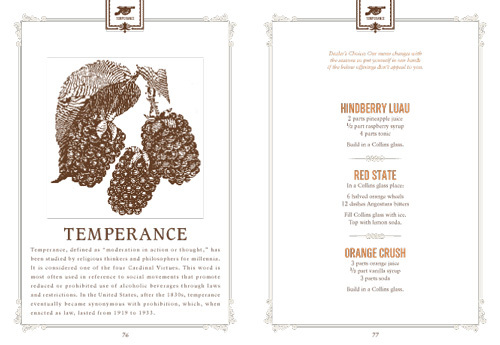 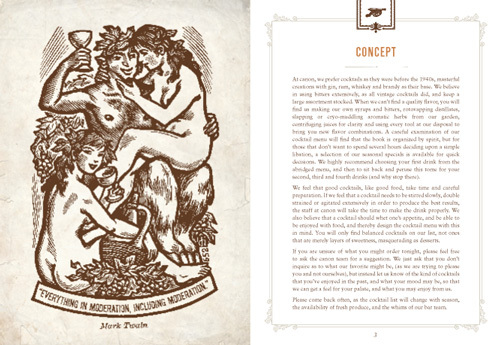 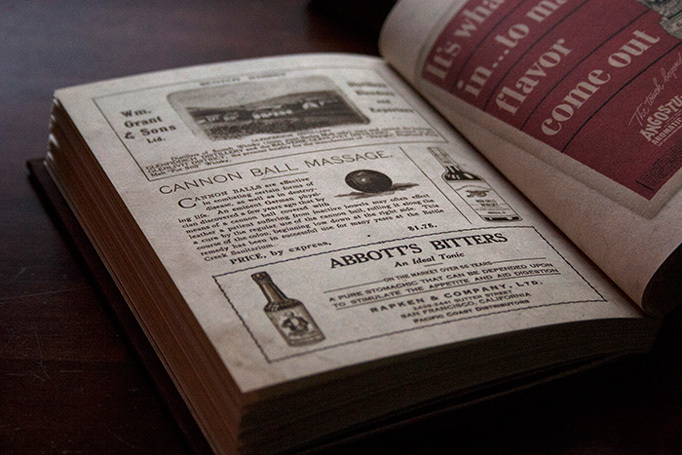 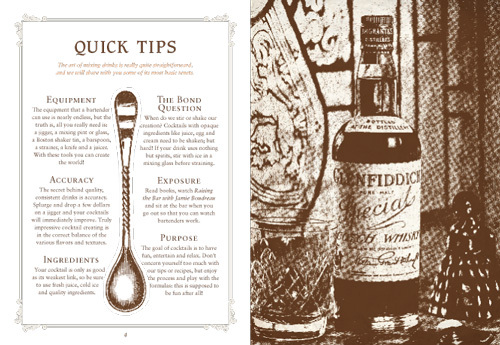 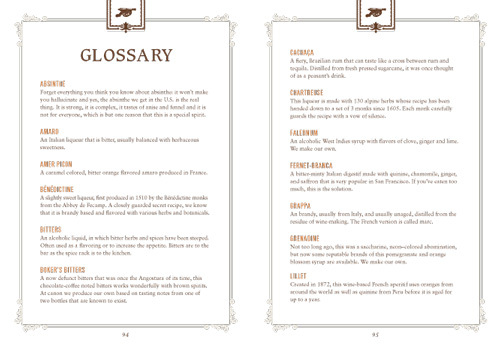 The intoxicating opus contains over one hundred cocktail recipes (classic and some new), authentic vintage liquor and bitters advertisements, notable sayings, and an award winning list of vintage spirits. 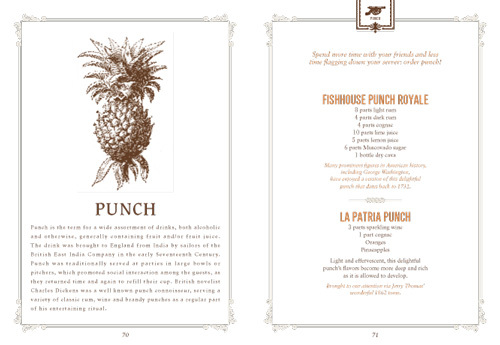 It looks like a lovely addition to any mixologists library (read: I want one!). 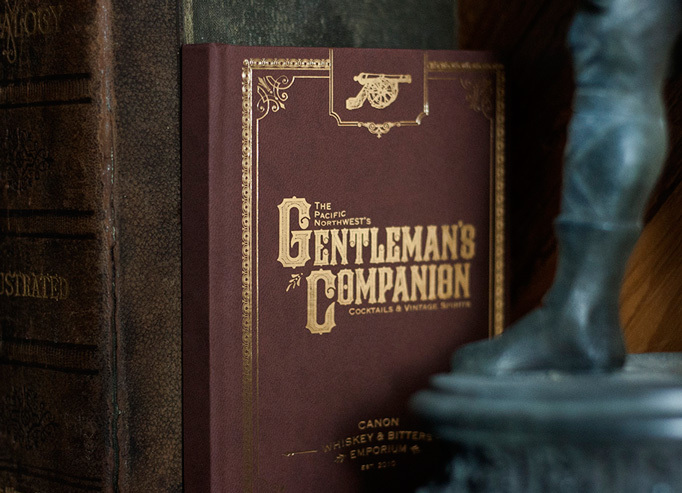 Visit Canon Whiskey & Bitters Emporium.